Ten man Concord produced a second half masterclass to overcome a lacklustre Hemel side to move up to 5th in the league. Goals either side of half time did the damage required but the job was made harder when Connor Essam made a horrid looking challenge earning himself a prompt straight red card just shy of half time. 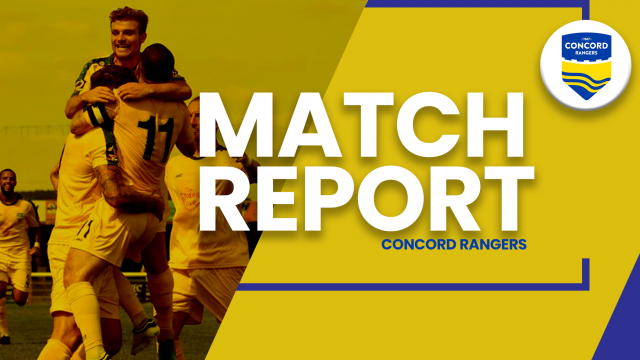 The hosts were in the ascendancy when Sean Clohessy was denied a penalty when he was chopped down but Concord did eventually take a deserved lead with a neat move, Nana Kyei threading a ball through for Liam Nash, who unselfishly cut square for Alex Wall to slam into a empty net. A minute of madness saw Essam see red and the Tudors gain parity. A low strike was saved by Sam Beasant but parried into the path of Tom Knowles who took the gift tapping home. Hemel must have been fancied at this point but it was all Concord second half. The winner came from the left boot of Gillingham loanee Nash. A simply stunning strike flashing into the bottom right corner to wrap up proceedings.